This series about European Royalty is posted by Museum Intern Hannah Bothner. Join us in the coming weeks as we prepare to open our newest exhibit, "Creating the Crown: Developing Royal Dynasties." 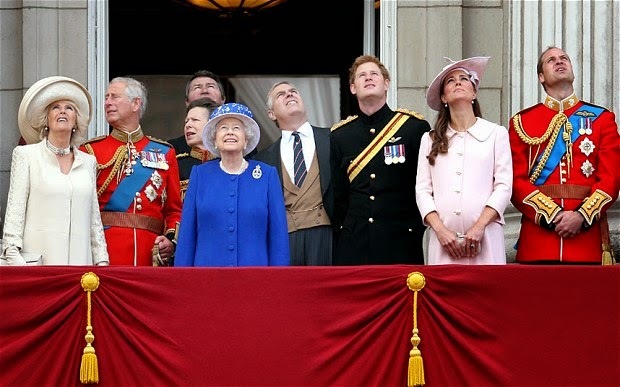 Americans love the British royal family almost as much as the British themselves. When Prince William and Princess Kate got married, over 23 million people across the United States watched as they said "I Do." 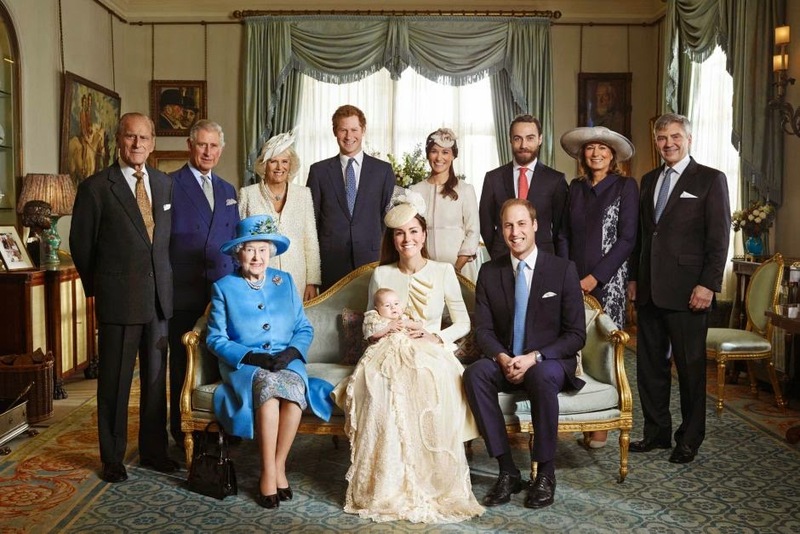 The current ruling family of the United Kingdom is the House of Windsor, led by Queen Elizabeth II. Queen Elizabeth II became queen in 1952 after her fathers death. Queen Elizabeth II was born April 21, 1926, but at that time was not the heir apparent. Her uncle was next in line and her father was next in line after him. When her grandfather died in 1936 her uncle became king, but abdicated after six months, making her father king and Queen Elizabeth the heir apparent and next in line. 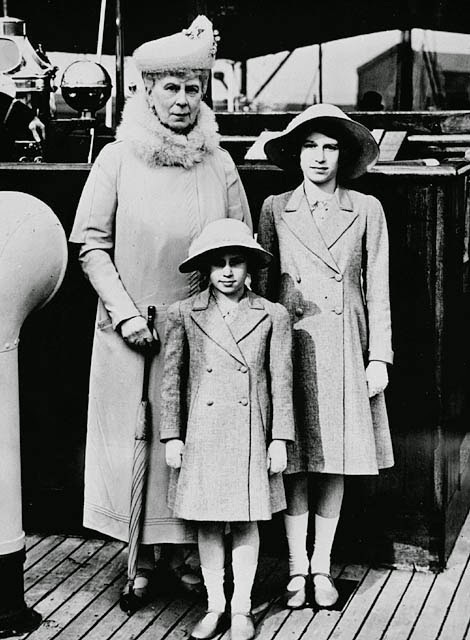 A young Queen Elizabeth with her mother and younger sister. During WWII, Elizabeth talked on the radio with children displaced by the war at the age of 14. A few years later her father appointed her the Colonel-in-Chief of the Grenadier Guards and in 1942 she conducted her first inspection of the troops. 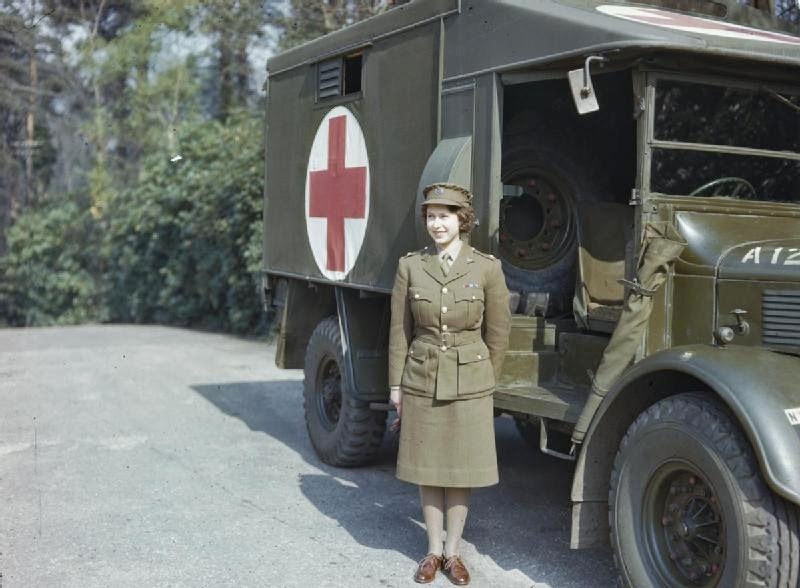 In 1945 she joined the Auxiliary Territorial Service to aid the war effort and became an expert driver and mechanic. In 1947 she married Philip Mountbatten and one year later they had their first child, Prince Charles. They also had Anne, Andrew, and Edward. Queen Elizabeth named Charles her successor in 1969 and he married Diana Spencer in 1981. Together they had two children, Prince William in 1982 and Price Harry in 1984. Charles and Diana’s marriage was rocky and they eventually divorced in 1996. In 1997, Diana died in a tragic car crash in Paris. Charles remarried in 2005 to Camilla Parker Bowles. Currently the Queen is the second longest ruling monarch in British history, behind Victoria who ruled for 63 years. 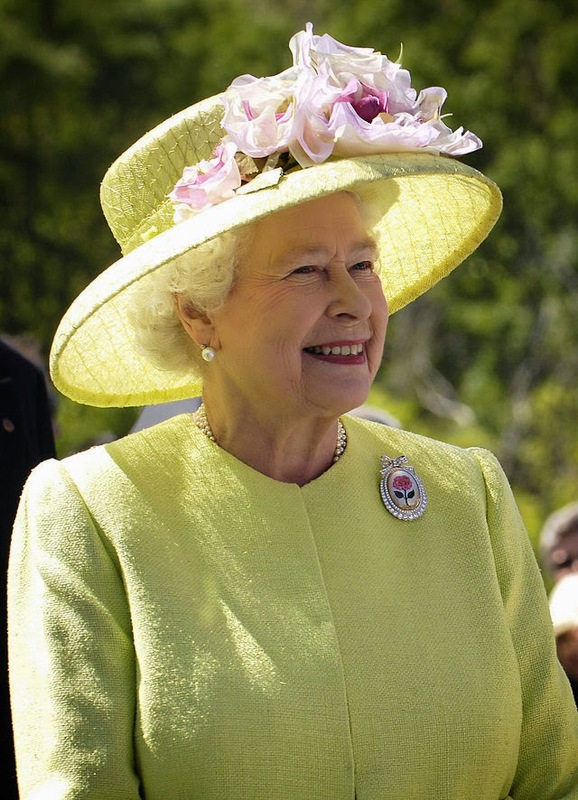 On June 2, 2013, the Queen celebrated 60 years as queen on the 60th anniversary of her crowning with her Diamond Jubilee. During her reign the Queen has done much to modernize the monarchy and make it more accessible to her subjects. She was the first British monarch to visit the independent country of Ireland. She also did away with the rule that the next in line would be the first born male and that instead it would be the first born child. 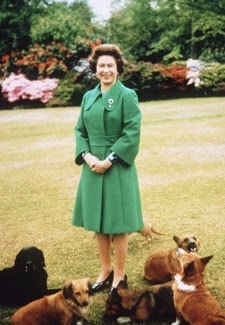 The Queen with her beloved corgis, her favorite breed of dog. She also has a number of dorgis, a corgi and dachshund mix, a breed she helped to create. Currently, Prince Charles is next in line for the throne and his first born, Prince William, is next in line after him. In April of 2011, Prince William married Kate Middleton at Westminster Abbey. In July of 2013 they had their first child, Prince George. Now Prince George is next in line behind William. Prince Harry and Prince Andrew, Charles’ younger brother, are in line after Prince George. The Royal Family with Prince George. In the final weeks leading up to the unveiling of our new Creating the Crown exhibit we will highlight royalty throughout history here on the blog. Check back each week to learn about various royal families throughout the centuries. 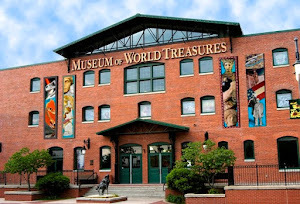 There will be an exclusive exhibit opening for members on Thursday, July 17 at 6:00 p.m. and the exhibit will officially open to the public on Sunday, July 27. 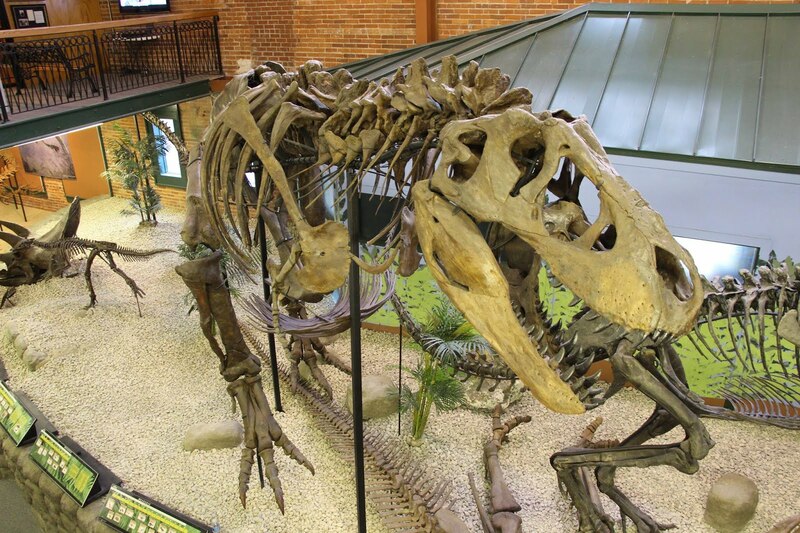 For more information please visit our website or contact the Museum at 316.263.1311.